According to the Occupational Health and Safety Administration (OSHA), 2.3 million construction workers frequently work on scaffolds. Workers in Massachusetts are no exception, as thousands of construction workers, painters, window washers, and laborers use scaffolding to complete their daily job duties on the worksite. Scaffolding is built as a temporary platform to allow workers to conduct their job duties at high elevations. Scaffolding is often used by construction workers to erect buildings and make repairs. It is also commonly used by maintenance workers to perform preservation and cleaning work on tall buildings. Despite their known dangers, most workers accept the use of scaffolding as a necessary part of the job. Construction sites in Massachusetts commonly feature some type of scaffolding, including masons', single and multi-point, suspension, supported, and interior-hung designs. Unfortunately, the widespread use of scaffolding has historically lead to numerous construction worker injuries and deaths. These injuries and fatalities are often attributed to worker falls, accidents caused by falling objects, and electrocution from entanglement in power lines. According to OSHA, there are over 4,500 construction worker injuries from scaffold accidents on construction sites. Additionally, the National Census of Fatal Occupational Injuries (CFOI) reports that an average of 88 deaths occur yearly due to scaffolds. Injuries and deaths from scaffolding accidents are frequently linked to defective products, OSHA violations, and negligent workers and/or supervisors. Construction injuries involving scaffolding are often linked to the improper assembly of scaffolding platforms, causing collapses and worker falls. Scaffolds are complex structures, which require proper assembly to maintain balance and support the weight load of workers and building materials. Defective guardrails, footings, planks, decking, braces, and counterweights can all lead to scaffolding collapses and falls. A report from the CFOI noted that as many as 72 percent of workers that were injured in a scaffold collapse claimed that their accidents were caused by faulty planking and support, causing falls and injuries from falling debris. In Massachusetts, according to the latest Massachusetts Coalition for Occupational Health and Safety report, nineteen workers died after falling from scaffolding. Further, the Centers for Disease Control reports that more than 20 percent of non-fatal construction injuries are sustained after falls, injuring more than 100,000 construction workers a year. Injuries from scaffolding falls may include brain injuries, back injuries, neck injuries, spinal cord injuries, leg injuries, and concussion. Often, these injuries are catastrophic and result in broken bones, nerve damage, traumatic brain injury, and torn ligaments. In the most unfortunate cases, these injuries can lead to comas, paralysis, and even death. The high-risk of catastrophic injury and/or death has lead to stringent regulations regarding scaffolding. Scaffolds are regulated by the Federal and state governments. In particular, OSHA regulations require that construction workers at a height of six feet or more follow strict guidelines to protect from personal injury and death. These regulations regard the design, building, maintenance, inspection for defects, and use of scaffolding. Pursuant to the regulations, every individual on the work site - including employers, supervisors, workers, contractors and subcontractors - must comply with the regulations. Specific regulations include locking scaffolding wheels before use, not moving scaffolding when a person is on the platform, inspecting the scaffolding for defects before every work shift, not working below or in the "fall zone" of the scaffolding, aligning all steps, and designing scaffolding so that planks and walk boards are at least 36-inches below the top of the scaffolding. The regulations also require the use of proper fall protection equipment, such as lifelines, harnesses, lanyards, and safety nets. Also, OSHA requires every scaffold be able to support at least four-times the maximum load capacity without collapsing and each suspension rope must support at least six-times the maximum load capacity. Failure to adhere to these guidelines can result in liability for workers, supervisors, contractors, and sub-contractors. Regardless of the circumstances surrounding a scaffolding injury, most workers injured on the job are entitled to workers' compensation. Injuries will often create large medical bills, long periods of disability, lost wages, and perhaps future lost earning potential. After a construction accident, a timely investigation and preservation of evidence is required to secure adequate compensation. It is also important to report accidents to authorities, such as OSHA. Since the Massachusetts Statute of Limitations applies to construction accident claims, timely filing is imperative. The personal injury attorneys at Bellotti Law Group, P.C. are experienced in coordinating benefits, negotiating settlements, and preparing potential litigation for construction accidents. If you were injured at a construction worksite, your accident may have been caused by a subcontractor or vendor, and you may be entitled to file an additional claim against the third party. Construction accident injuries are often covered by workers' compensation. That insurance will pay for medical expenses and reduced pay while you are out of work. However, you may be able to make an additional claim against a third party. Nearly all scaffolding injuries and deaths are preventable and frequently can be attributed to the negligence of workers and supervisors. 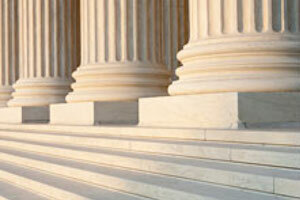 Our personal injury lawyers have experience investigating accident sites and causes. If you have been hurt on the job site, you are not necessarily limited to workers' compensation. You may be able to make a claim against the entity that caused the accident, whether it be the manufacturer of faulty equipment or a subcontractor or vendor who failed to follow safety rules. Talk to a construction accident attorney at Bellotti Law Group, P.C. about your options. Call 617-225-2100.